The Royal Enfield 650 twins have become quite popular ever since their launch. Both the Interceptor 650 and the Continental GT 650 have been in demand and the showrooms, therefore, are offering short test rides of the bike. The reason for the immense popularity of both the bikes can be attributed to several factors, chief among them being their good value for money propositions and never-before-seen-in-a-Royal-Enfield refinement. 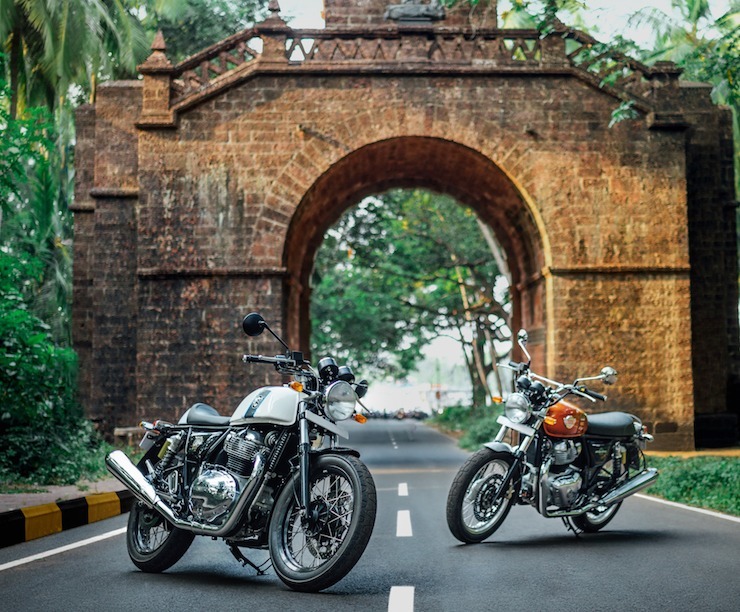 Now, a Royal Enfield dealer in Bengaluru has come up with an event during which the participants will be able to ride the 650 twins for a long stretch of distance and time. We appreciate your interest in the 650 twins. The event will happen on the above location. We will be providing experiential test ride of both the twins for 8-10 kms. Refreshments will be provided at the venue. If you want more information about the event, click here to check out the Facebook post. This event is should especially be attended by those who are planning to buy either of the 650 twins but are not able to ake up their mind. Usually, the dealerships provide short test rides, which does not paint a fair picture of the bike. Most of the people take a good ride of a bike which either belongs to their friend or any other acquaintance to get a good idea of how the bike behaves. With the 8-10 km test ride offered by this dealership, one can easily get to know about the bike and how it behaves in real-world usage. The Royal Enfield 650 twins are powered by a 647 cc, twin cylinder, air-oil cooled engine which is a newly developed unit. The engine churns out 47 Bhp of power along with 52 Nm of torque, which makes this the most powerful Royal Enfield engine ever. The engine comes mated to a 6-speed gearbox along with a slipper clutch. The 650 twins are the most powerful and advanced bike from the company yet. The double cradle chassis upon which the bikes are built has been designed with inputs from Harris Performance, UK. With a starting price of Rs. 2.50 lakhs for the Interceptor 650 (ex-showroom, Delhi) and Rs. 2.65 lakhs (ex-showroom, Delhi) for the Continental GT 650, Royal Enfield has not left a chance for any other competitor to rival the 650 twins.